Over 650 Christian Fiction Writers stayed down town last weekend in St. Louis, Missouri for the American Christian Fiction Writers conference. I was one of them. I grew up in Missouri and now live in Illinois, but close to St. Louis. 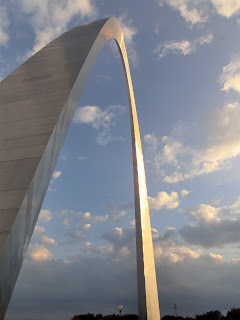 I like to say, "The Arch is in my backyard." 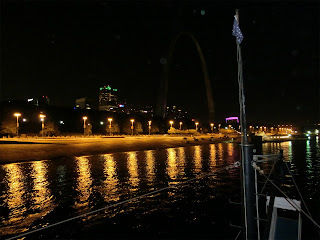 On this night I was headed with other authors to an even hosted by Barbour Publishing house to board the Tom Sawyer, a paddle boat that cruises the Mississippi River. It's been a while since I've experienced the river at night. 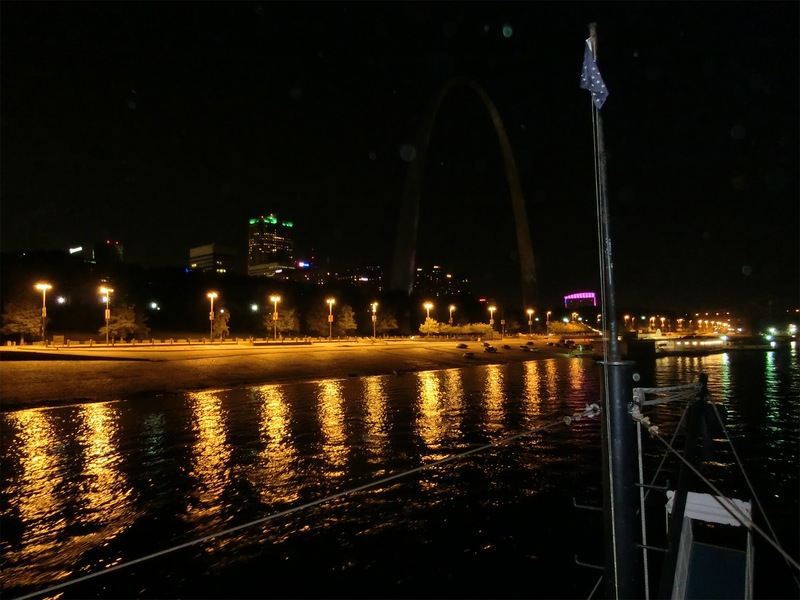 When the boat turned to dock the city lights with the backdrop of the river current swishing against the boat the sight took my breath away. Despite the reported dangers and crimes I love this city. Within its boundaries are many delightful people, places to visit and foods that are unique. I am proud of this place I was born. This is my home, my heritage. for more a2z please visit Patty Wysong. I would have loved to join you there. Maybe next year? Love the arch! Mabe Rita, right now I'm thinking I'll skip next year. It's a money thing. Whenever I hear "St Louis" I burst into song "Meet me in St Louis.."
You stole my S ;) Your pictures are great. Never been to St. Louis. Looks just beautiful. And I KNOW I would have loved the conference. Some day, God willing. Ahhh! Someday, someday I'll get to go! Terrific picture of the arch. I know I saw it when I was 3 or 4, at least my mom says I did! Lovely! I haven't been to the ACFW conference, yet. I finally got to FaithWriters' for the first time this year. We'll see what next year brings. Glad you were able to go!